Winter is looming, and yet autumn flowers still fill the borders in my garden. Even though the nights are drawing in and the temperatures are dropping, their is still an amazing amount of colour! It's a beautiful sunny October day and I've been sitting with a cup of coffee and my recipe books (checking I have the ingredients for my quince jelly!) enjoying the sunshine and my late flowering plants. It's all about the Colour! Apart from the usual chrysanthemums, there are many other absolute gems that can be spotted in the borders in the autumn. So, what autumn flowers do we have in the garden that are still giving pleasure? 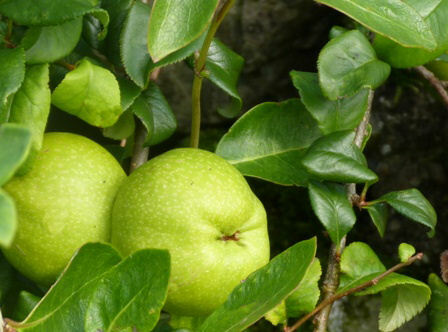 Use fruits and berries, faded flower heads and vibrant leaf colours to bring your garden alive at this time of the year. 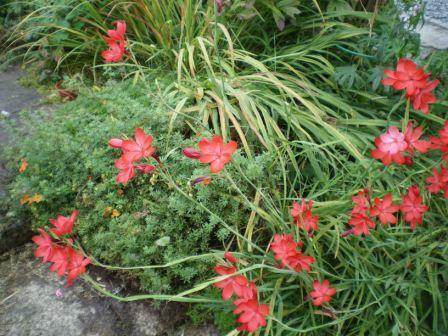 Here are some plant pictures to show you that it doesn't have to be all doom and gloom! 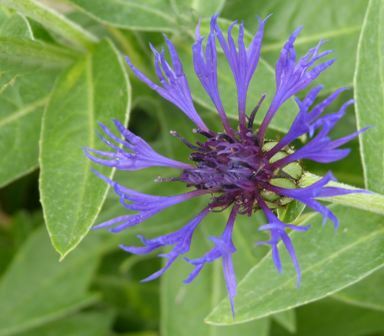 This is the second flowering of the gorgeous blue 'Centaurea'. 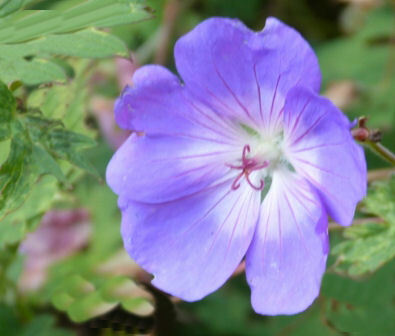 If you cut it down after it has flowered in the late spring and summer, it will reward you with a second flush later on. 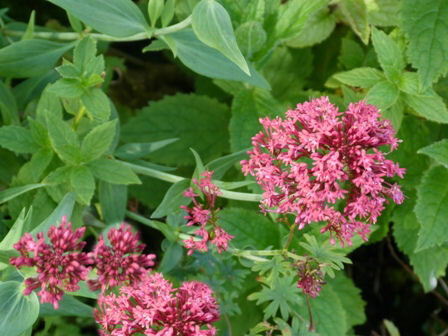 And then there is the bold red centranthus, poking its head through the surrounding plants. 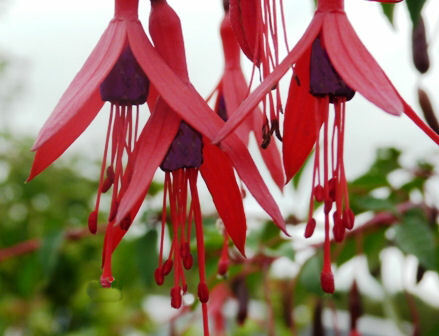 Its flowers are such a striking and bold deep pink. ...and here are the flowers that come early in the year. This shrub really earns its place in the garden! 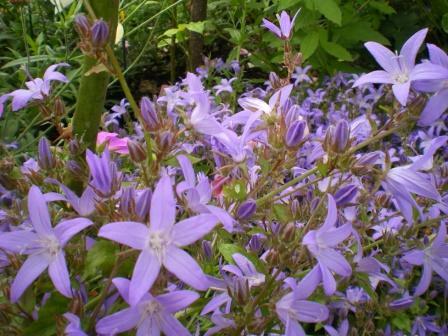 Campanula porschskyana is having a second flush too, and how gorgeous the intense blue looks in this cool autumn light! Hardy fuscias are invaluable at this time of the year, and here we can see mine with it's purple inner petals, red outer petals, and elegant stamens. Just exquisite! 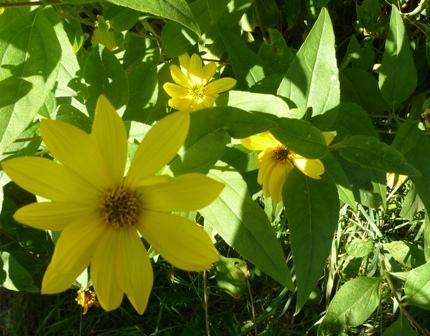 Pale yellow daisy petals of the perennial rudbeckia shine out in the early autumn sunshine in Alison's garden. Quite a few container plants are still flowering, as we've yet to have a cold enough frost to kill them! The diascias, even though they are grown as annuals, can survive a winter if they are sheltered, and the temperature doesn't drop too low. How lovely is this! 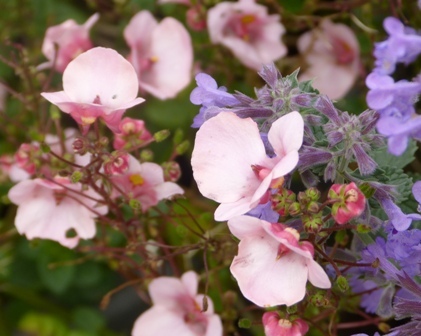 A pale pink diascia growing happily with the gorgeous purple nepeta. 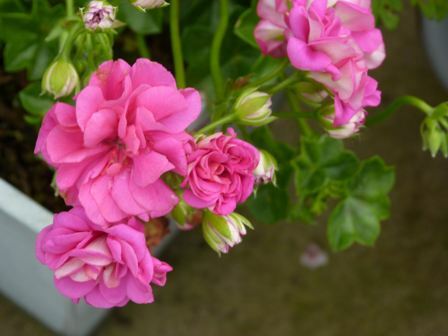 And here is a trailing pelargonium (commonly known as a geranium), but its days, I'm afraid, are numbered. 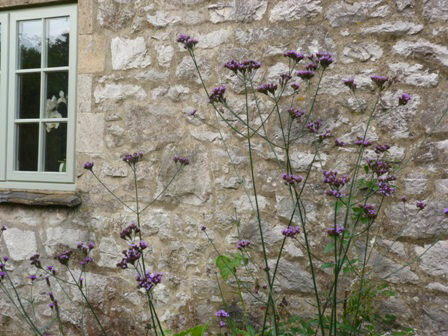 To preserve your favourites, take cuttings and replant them next year. Gorgeous! 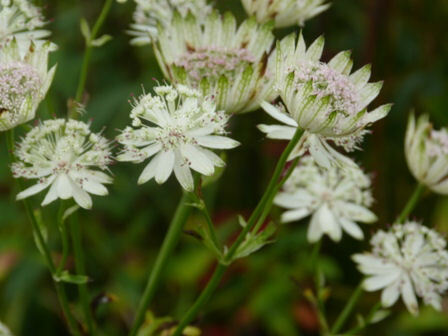 Cream astrantia is unexpectedly still flowering, but what a bonus! 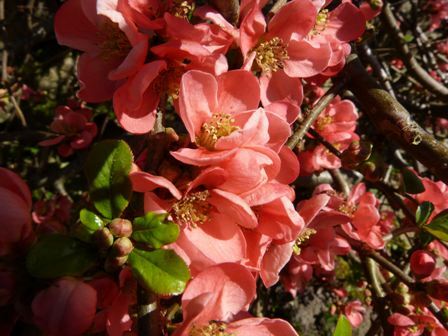 It brightens up the garden with its flowers that seem to glow in the more subdued light. 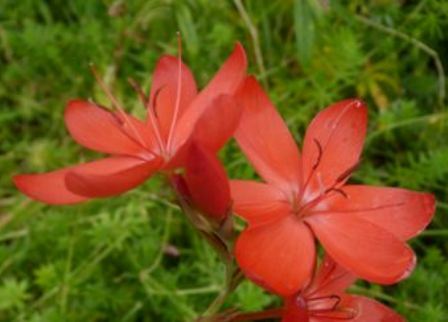 Schizostylis are such wonderful autumn flowers, with their striking deep coral pink petals and elegant stems. 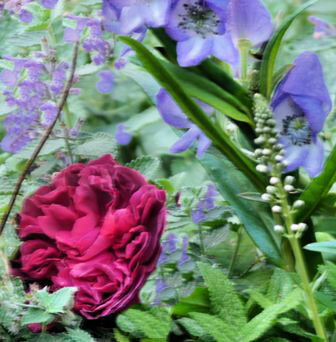 When clients first see the petals emerging, they are bowled over by the intensely vibrant colour. 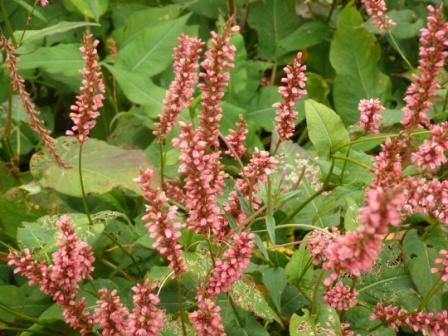 Known as polygonum or persicaria, this plant is very tough and will cover a space quickly. Its strong pink spires stand tall and erect, even against the most adverse weather. 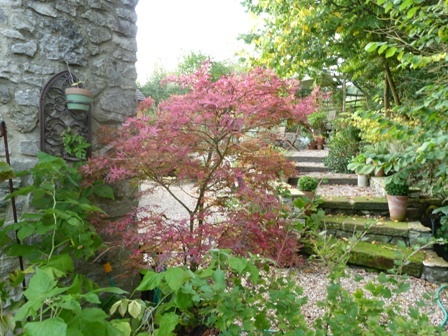 ...and a gorgeous pot grown acer (avoid planting trees too near to the house) with a pink-edged leaf, growing where it is most happy: sheltered, and in dappled shade. Acers give one of the most vibrant colours in the garden at this time of the year and can be found in the most amazing range of colours. ...take a look at some of the incredible colours here. Some shrubs can be as useful for their foliage colour and berries as they can for their flowers. 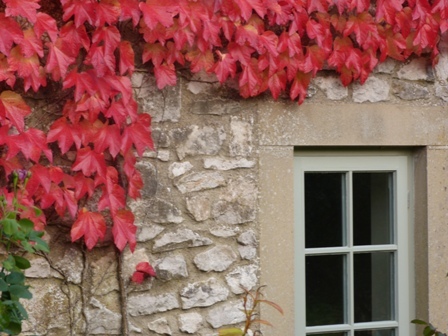 Keep a look out for striking autumn colours that will bring a garden alive in the colder months of the year. Enjoy your garden in the autumn. It really can be a very attractive and colourful place to spend time, even though there is often a nip in the air!